to discuss how our Student Career Management assessment can support your choice of the right career and training to get there. Contact Diane Foster to discuss your needs and begin customizing a package. The first steps in choosing a career can be difficult and nerve wracking. Let DFA help you identify what abilities will support you in a career in science, technology, engineering, math, or liberal arts, and match your strengths and desires with an actual job. We can develop your skills set to make you a more attractive candidate. Our assessment and coaching support will ensure that you discover your abilities, know what motivates you to develop additional skills, explore your interests and values, and integrate all of these things into your career. You will build an understanding of your natural strengths and abilities and can therefore choose a major or minor that matches. You will be coached by a certified expert with years of experience in career management assessment, organizational coaching and teaching for both high school and college level students. You will understand whether you have the innate strengths to grow in a college environment, no matter how you performed in high school. You will avoid feeling inadequate at the end of four years of college. Each Student is unique. Our work with students is always customized. Diane will work with you to develop a customized package to fit your needs and optimize your results. Receive a profile to improved selection of course work, work experience and job offers. Discover your best learning channels and how to leverage these to your advantage. Be coached on how to talk about yourself and your career goals so that it influences others. 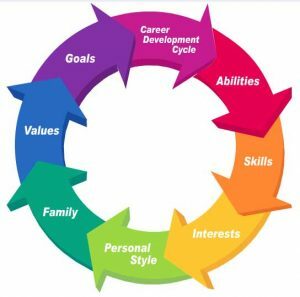 Career assessment and profiling coaching for college students.